Optoma sent me a 4K Ultra HD Projector plus more Goodies! Not only did they send the highly rated UHD51A but they surprised me further by including a very snazzy pair of earphones and a full HD media sender which means you don't need long cable anymore! 4K UHD Resolution. With over eight million pixels, Ultra HD 4K resolution brings four times more detail than Full HD, to deliver sharper, life-like images and richer colours - allowing you to sit closer to the screen and enjoy a more immersive experience. HDR compatible. Capable of receiving and displaying HDR meta data, Optoma HDR compatible projectors allow you to see far more detail and texture. Objects look more solid and life like and the extra detail creates a greater sense of depth. It's like looking through a window. Amazing colours. Watch your movies, TV shows and play games with stunning colours in any environment. Optoma projectors provide reliable performance suitable for any content and environment. Our home projectors are capable of reproducing the Rec.709 colour gamut, the international HDTV standard to guarantee accurate reproduction of cinematic colour exactly as the director intended. Or more saturated colours for a punchy looking image, great for gaming and animated movies. Vertical Lens Shift. Simplify installation with vertical lens shift, which provides a wider range of projector placement possibilities. This makes it easier to position the projector in your room and enables a wider range of screen size options. PureMotion. Using sophisticated frame-interpolation technology, advanced motion control processing eliminates motion blurring or image judder, even in high-speed action sequences. 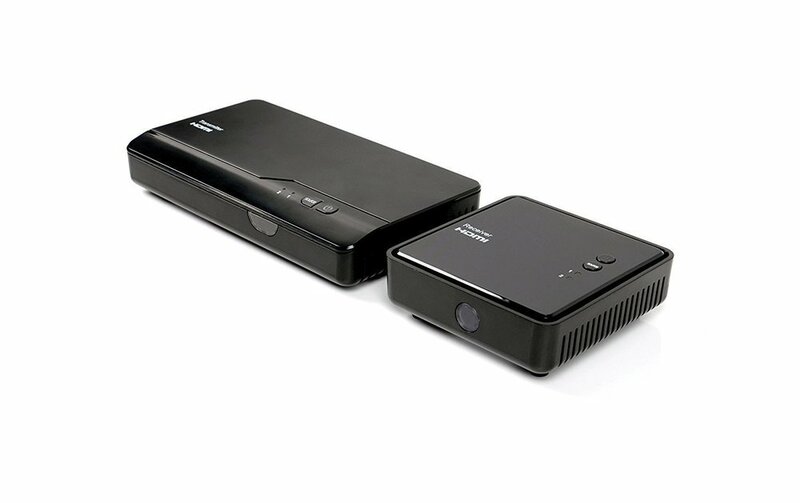 The WHD200 lets you effortlessly stream Full HD 1080p 3D content to your projector or TV wirelessly. Eliminating the hassle and extra cost of installing long cables, the WHD200 allows you to connect a Blu-ray player, digital set-top box, games console or AV receiver instantly. For added convenience, two input devices can be simultaneously connected. A second display can also be connected using the included HDMI out port, which means set-up is simple for a super-sized Full HD experience. Headphones include a microphone with CVC noise suppression technology for calls, and compatible with Siri and Google assistant. For ultimate convenience, the BE Free5 true wireless earbuds have no cables for unrestricted movement at any time. Designed for clear, uninterrupted audio, the portable carry case doubles up as a charger - allowing users to stay connected for non-stop listening on the go. Equipped with advanced audio coding and AAC, they deliver audiophile sound quality and stable wireless connection with no lag.